Battalion Parade. Swim in morning. Afternoon swim. Pictures at night. 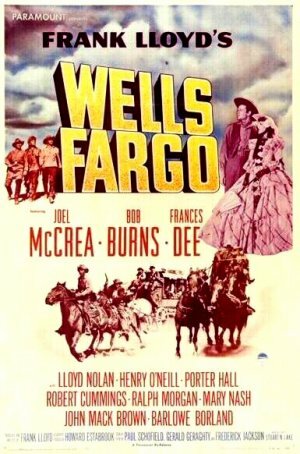 “Wells Fargo”. Not as good as expected. Packed our gear ready to march out at night. Organised rest. Paraded 6PM. Formed up on Battalion parade ground then marched off. Marched from 6.20PM-11.30PM. Followed coast line most of way. Green vegetation of land side of road. Did 16 miles to Geneifa (???). Just slept on desert, very cold. Reveille 5.30AM. Breakfast. Loaded into transport and travelled along sea shore. Came to actual canal which looked like giant docks miles long. Passed monument outside Ismailia in memory of last war. Went through outskirts of Ismailia, very nice parks and some good houses. Most of the wogs have shifted out on account of Jerry bombing. Crossed the Sweet Water Canal – dirty filthy looking water. Many dhows being pulled along it by wogs. Picture theatre at camp gate bombed to pieces. Camp about 2 miles from Ismailia. Lovely drive to our area – Moascar. Permanent Tommy (British) Camp. In huts – electric lights, showers, wash hand basin. 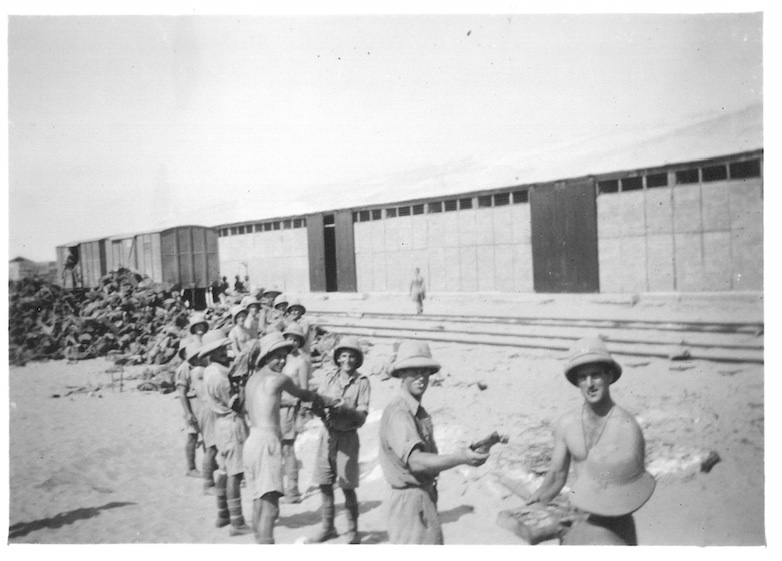 Tommy Naafi and battalion canteen. Slept all afternoon. Small routine march in morning. ??? drill. Siesta. Parade. Early to bed. Reveille at 5.30AM. Parade 6.15. Went in lorries to Army Dump of El Kabrit about 10 miles away. Passed through another sector of Ismailia. Stacked wood all day. Boys did not like it. Returned to camp 6PM. Wrote in evening then bed. Jerry bombed a bit towards morning.